The past 2 weeks have had some really good fishing, the Snook, Trout, Tarpon and Redfish have all been active players. The bait has showed up in the Gulf of Mexico which has made it much easier to get big numbers. 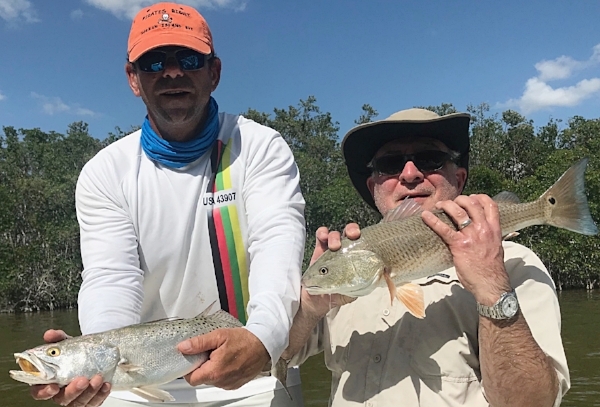 The Trout and Tarpon have been eating lures like Gulp Shrimp and assorted hard plugs. The surprise is that there have been some Redfish around, they have been tough to find for a while. Tarpon are still pretty thick and we have been getting big numbers of Snook! It has been windy most of the last few weeks but when it backs off it gets interesting. I'm going to keep report short in words and post pictures from last 2 weeks. 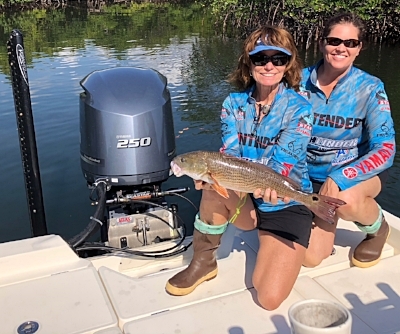 Team CCA stocking tagged Redfish in Broward County! I think I have covered all the fish we have been catching. The only thing I can't show is the numbers of fish and the wear and tear on my customers, I know they all sleep good that night! If you would like to have a fun day and catch allot of fish give me call at 305 333 8149. I am a family and kid friendly charter company as well as a great buddy's trip. Newer PostFishing has been allot of fun! Older PostRod bending at it's best!